Gone are the days of getting the illegible pink copy of the important document you just signed. People are tired of paperwork and One Tree Docs is here to do something about it. We’re taking the “paper” out of paperwork and then planting a tree in its place. Your important documents are now digital and editable. When it comes time to close the deal all you have to do is sign your name on the virtual dotted line. One minute later you have a legible copy right in your email inbox. One Tree Docs was created to ease the process of filling out forms but then it turned into something bigger. We realized that while saving you time and money we could also save the earth. 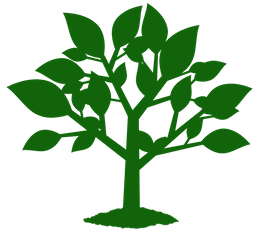 We want to make up for all of those paper forms we used over the years, so we plant a tree for each form we digitize. And you might not think so but our forms are actually cool. They are typeable, autofillable, photo insertable, stampable, signable, saveable, emailable, searchable, doodleable, printable, and editable. Amazingly, we only made up one of those words. More amazingly, these forms can do it all.